St. George is one of the most popular saints in Christianity. 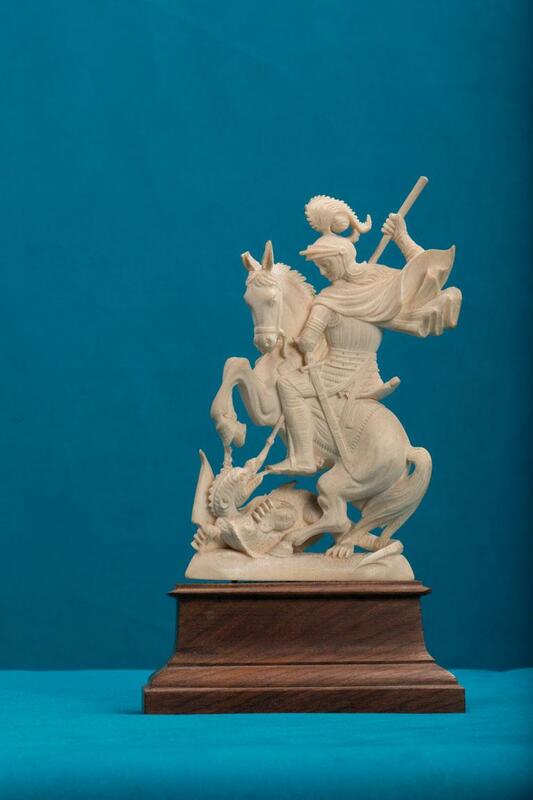 Here St. George is depicted as riding a horse and slaying a dragon. The figure holds armour.